Camping is only permitted at the 6 designated campgrounds; Deep Creek campground near Eddystone Pt Lighthouse is the only one located in the southern end of the park whilst the northern end of the park has 5 campgrounds. These are Top Camp and Stumpys Number I, 2, 3 and 4 campsites. 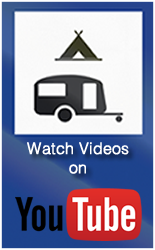 Small to medium sized caravans and motorhomes can be accommodated in all campgrounds except Stumpys number 2. 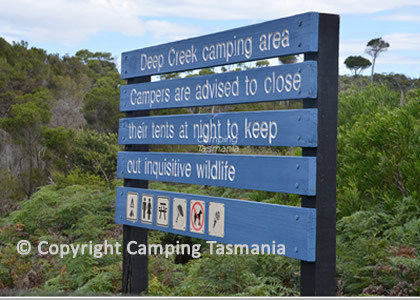 No portion of this website may be reproduced without the prior written consent of Camping Tasmania. All rights reserved.